How an ivory ban proposed by government will actually work is the focus for the art market, according to a panel of experts at The Courtauld Institute. The Courtauld Institute’s panel discussion called 'The Elephant in the Room: Ivory and the Art World'. The Department for Environment, Food and Rural Affairs (Defra) is due to publish its summary of findings following its consultation on amendments to a ban which closed in December. It received more than 60,000 responses but questions about the practicality of enforcing a ban and its exemptions is up for debate. During The Courtauld Institute’s panel discussion for its MA Curating course called The Elephant in the Room: Ivory and the Art World, Will Travers, president of the Born Free Foundation, said although the ban will not solve the problem of poaching, it will “contribute to solving the problem”. He admitted there was “no silver bullet” and alongside the ban there needs to be “greater enforcement in the field by fighting organised crime”. The panel at The Courtauld Institute’s discussion called 'The Elephant in the Room: Ivory and the Art World'. Martin Levy, director of art and antiques dealer H Blairman & Sons, argued that ivory trinkets, such as those described by Travers, “have no place in society today” but said there is “no good reason to make the moving of medieval ivory difficult”. 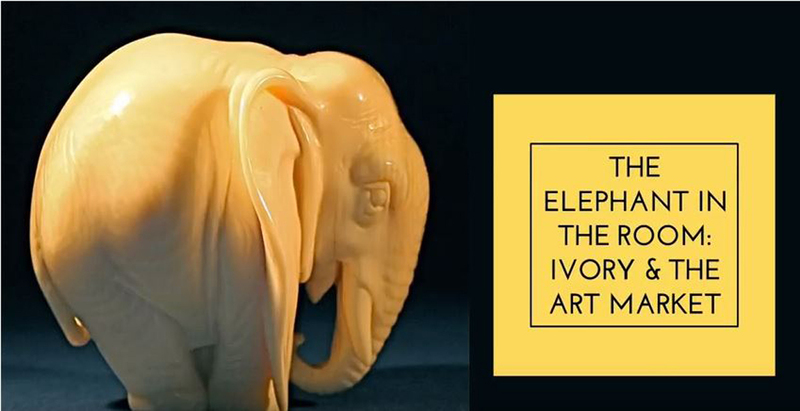 Watch The Elephant in the Room: Ivory and the Art World debate here.